Removed link. I forgot this was a private account. Thanks @pacejunkie punk for letting me know. This is cool I don’t know how many people noticed this at the time but two weeks ago the Italian fan group posted a piece about Viggiano and Billie (who follows the account) saw it and commented that he would be there very soon. That’s so cool. I wonder if he ever tried playing a harp before. I love that harp pic so much. I wish there was a video. This is so cool! 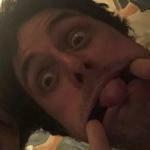 I'm so happy for Billie and his family! Hey guys just getting in a reminder that standard rules regarding posting photos apply in this thread. Specifically no photos from private accounts, no photos tagged to show which hotels they're staying at, and no photos of family on their own/without Billie, unless posted by Billie. It seems useful to have this thread for publicly shared Italy pics to save the Instagram threads being swamped, but as this is a private trip it's important to respect privacy. I’m amazed at how everywhere he goes here he is absolutely swarmed. I wasn’t expecting that. The only place I’ve seen this kind of mania around him outside of Italy is South America. The Italian R&L fanpage on IG just had a livestream of the honorary citizenship ceremony. Billie gave a nice speech and they gave him some gifts. It was nice I hope they save the video. I'm sure I'm not the only one sitting here with a big goofy grin on my face as I read this thread. Especially with the videos of him watching fans play his songs. He just looks like he's having so much fun and it makes me so happy. His reaction when he realises what they're singing though. So cute. And I love how he starts singing along. Local news again. It starts at 4.30 (interview with some local musicians), footages with BJ, Adie etc from 6.48. Billie cheating in the pasta making competition gives me life.